There was a time when you could swim anywhere off Gaza’s coast. Not now. Not in the aftermath of war. Smashed sewer systems, broken pipe work, and damaged pumping stations have seen to that. Raw sewage is tipping out into the Med and drinking water is in frighteningly short supply – not a tap runs with stuff, every drop must come by bottle through the blockade. That defiant spirit that has carried Gaza through so much is bruised and at times itself seems fractured. There are just so many young people without jobs, and without proper homes. Just enough detritus from the bombing in last year’s war has been cleared to see how indiscriminate some of it was (see drone footage, below). Whole dense neighbourhoods have been reduced to stumps, tower blocks brought down. And then there are the politics. They are broken too. Regard for Hamas veers largely between grudging respect and resentment. Absolutely no one believes they will ever call another election. They have been “in” for nine years, and have a reputation for somehow living well even in the worst of circumstances. They talk to the Israelis from time to time – no one is sure about what. They refuse to contemplate recognising the inevitable – the right of Israel to exist – as strongly as they justify their self-destructive deployment of ineffective but occasionally deadly rocketry. In short, they refuse to contemplate the reality that there is no military solution. Worse, they parade loud-speakered claims that in some weird way they ‘won’ the war a year ago. As last year’s summary executions of suspected collaborators showed they can be ruthless when dealing with perceived threats within. As for the Israelis, their siege of Gaza sustains – wounding Gaza’s Palestinians on a daily basis. Wounds that increase school class sizes, with so few remaining classrooms; prevent new house building through lack of supplies; in turn damaging the prospects for everyone, even the very few people who are actually employed here. There are so many who need to get out of here and need the freedom too to return. For university, hospital, business and more the human traffic of coming and going is essential to sustain any community. Gaza is slowly dying for lack of it. The siege is rejected, by every sovereign state on earth, yet respected simply because Israel control’s Gaza’s borders. It is also according to a UN Commission, illegal, as is the ban on fishing beyond the arbitrary Israeli imposed six-mile limit. On a pure humanitarian basis this stalemate cries out for international action. Were a British, French, or Swedish government or the EU itself to send boatloads of officially sanctioned demolition equipment and building materials, it is hard to believe that the Israeli gunboats that patrol the area would forcibly resist them. It is difficult to find a period in history when the international community has so actively failed to address a measure of such questionable legality for so long a period of time and for which it pays such a high price. More UN money has been spent per capita on Palestinians affected by Gaza’s siege than virtually any other group of people. That doesn’t include the cost of rebuilding in Gaza, paid for by donor governments, each time there is the cyclical, asymmetric conflict with Israel. Each wave of destruction and killing turns billions of pounds of EU and Gulf State funding into rubble. As I reported last Thursday on Channel 4 News, the absence of jobs, prospects, and hope within the youth of Gaza is opening a very dangerous void into which groups such as Islamic State (IS) could plough at any moment. They are not far away – in Sinai to the south, and in Syria to the north. Their philosophy already has a hold on some minds here. But let me end on a happier note. My friend Dr Maged Aburamadan, a great ophthalmologist here, has seen little Niema – the girl with the panda-eyed bruises whom I met a year ago during the war (see video, below). He closely inspected her eyes on Sunday and declares, that she will make a full recovery. We must hope that this tiny enclave and its vibrant beleaguered population of 1.8 million will make as good a recovery. But hope, the emotion that has kept Gaza alive for so long, is in fast dwindling supply. What’s left of it is not on its own enough to resolve this vast humanitarian, political, and security crisis. It’s strange that Egypt, who also blockade Gaza, gets off without any mention in this report. Egypt recently bulldozed hundreds of homes in Gaza on their border – no international outcry then. How come? Similarly, there is no mention of why both Egypt and Israel seek to control imports of construction equipment into Gaza: because Hamas steal them and use them to build tunnels, through which they carry out terrorist acts. Hamas can choose to end this whenever they want. It’s very simple: accept Israel’s right to exist, stop indoctrinating their children to hate the Jews, stop building rockets and terror tunnels, make peace, and move on. Jon describes Hamas’s rockets as ineffective, but they are 100% effective. Their purpose is to draw Israel into a military confrontation hopefully creating a few photogenic corpses seasoned Israel-bashers like Jon can use to accuse Israel. It’s strange that you would make a Hasbara argument that has been debunked since the first time it was made. Look to the Camp David Accords and the deal with Europe on the Rafah crossing. But make no mistake, your ignorance costs lives of innocent children. Your attempt to blame the illegal siege on any other nation that the one conducting it, Israel, is vile and immoral. i would have accepted your opinion somehow if we were in 1900 but unfortunately we are in 2015 we know everything. the real truth is that, these Palestinians have shown brave resistance to the invaders for more than half a century and still willing to that. in my lifetime i hope to see these amazing people independent from this cruel invaders. Egyptians are not occupying Palestine. They are not the ones who ethnically cleansed 80%+ of gazans to the strip so they could live on stolen land. Palestinians would never accept impostors on their land and why on earth should they? No one of sane mind in their shoes would do the same. Talk about blindess and denial. Telling Hamas to stop indoctrinating children to hate the Jews. When your neighbourhood is being bombed flat,your family are brutally murdered in front of your eyes and there are heads and body parts flying about you and you know that this is the methodical,planned work of the Israeli genocide squad,then you don’t need to be indoctrinated to hate and fear the perpetrators. Even I feel sickness and disgust at the Israeli murderplan. Furthermore ,they, the Israelis will never find happiness and security in Israel and they too know it. To deliberately execute such monstrous abomanalities , there must exist a sickness of the mind. Netanyahu is a sick,psychopathic liar. he could have been one of the fictitious villains on the 60s series of Batman starring Adam West as Batman. Why is it inevitable? Because zionism dictates so? Analysis differs somewhat from that originally reported by western and zionist media. We were led to believe the opposite. Haiti, Somalia, Iraq, Afghanistan e.t.c. , please Mr Snow explain the legalities of these disasters and the international communities response? Baseless opinion, please advise source for such scaremongering. Overall the article claims concern yet re-enforces a zionist belief that Palestinians must adhere to a zionist solution. What would be helpful is to differentiate between zionism and Israel. The political cult of zionism needs to be held accountable not the people of Israel. Spot on Daniel. Israel get all the blame, but Hamas are the one’s who ALWAYS start off the wars by hoying rockets at Israel, any country worth its salt would defend it’s own people against attack. Hamas should be driven out of gaza by an international force, the inhabitants of Gaza do not even want them there but if they speak out hamas will kill them too. What utter bulls***. Firstly, these rockets do not start wars. Wars are decided by the Israeli Government, at their convenience. 2/ Even if they do start wars, did you see the British bombing Ireland due to, much more effect and lethal IRA activity? Or the Spanish Bombing NE Spain due to ETA activity, or in fact any civilised country bombing it’s own citizens indiscriminately due to the activities of a few terrorists (even if we accept they are terrorists, which is another debate). Israel needs the war, it gives it the pretext to maintain the seige of Gaza, to keep appropriating land in the West Bank, to keep the terror campaign going against the Palestinians. If there were peace, Israel would have to start dealing with calls for a peace process, including a free Gaza, and a holt settlement building. Only the blind, prejudiced, or naive would say this conflict is the fault of the Palestinian people. You’re correct about Egypt’s actions but neglect that these are at the behest of Israeli “advice”, hence no international outcry. 1 year after Israel’s bombardment of Gaza 2014, none of the civilian homes have been rebuilt. UNRWA offerred to take full control of all construction materials yet Israel refused to accept this offer. As above, Egypt will not allow construction materials because it is not permitted to do so by Israel. As for indoctrinating children, you’ve got to admit that Zionists have been doing similar child-indoctrination & shooting practices; in fact Zionists have been training children to hate “Arabs” since the creation of Israel (1947) and certainly long before Hamas was formed. So because something is at the behest of Israel then it follows that there would be no international outcry? You seem to forget Gaza 2014 and the constant media coverage (in 24 hour news cycles) from all major media institutions. You’re assertions don’t stand up to the evidence. Zionists may be “indoctrinating” children but so do Palestinians, there are more than enough examples found on the internet. Further, Saudi Arabians also indoctrinate Muslims via the textbooks they release into British Muslim schools. Care to provide an excuse for them? Is this the same UNRWA that allowed Hamas to use their schools as rocket warehouses and rocket launchpads and to host the entrances for tunnels dug into Israel by Hamas for the purpose of terror? Hmm, I think I can understand their reticence. As for indoctrinating children, I don’t have to admit anything of the sort, because its simply not true. Arab citizens of Israel have the same rights as all other Israeli citizens – there are Arab members of parliament, Arab Doctors, Arab Laywers… hardly a sign of brainwashed hatred. Hamas Children’s TV, by contrast, exhorts Gazan children to kill Jews wherever they find them. Hardly a recipe for peaceful co-existence. To Stuart Miller – You only believe Hamas always starts the wars because Israel, through its grip on Western media, tells you so. If you look at Middle Eastern sources you’ll find barely a day goes by without Israel killing an unarmed Palestinian, often in an act of deliberate provocation. Do you remember how the UN had to stop Israel laying sonic booms across Gaza in the middle of the night to terrify its children and cause miscarriages – Just one of the many ways Israel has tried to crush Gazans, but very indicative of the Israeli mindset. We all think highly of the French resistance in WW2. I feel the same admiration for the Gaza resistance, and I suspect you would if you looked more deeply into what is going on, and how Israel wants to steal Gaza’s offshore gas field. What does that actually mean – the right of a state to exist? Regimes and states change; they have no intrinsic rights. The intrinsic rights belong to people, and not to an occupying, apartheid regime. Israel bombarded Gaza and murdered its inhabitants long before the first ‘rocket’ from Hamas wended its way through the air. Israeli apologists only seem to recognise the ordinance of their opponents. Their weaponry is sanctified by god and goes unmentioned. Just as the fulminations against Iran’s non-existent bomb contrasts with Israel’s own nuclearp weapons systems, so too in Gaza the racists only see the violence of the oppressed not the oppressor. Even though Hamas have stuck to the terms of the ceasefire and not fired any ‘rockets’ since last year the blockade is maintained, fisherman are shot at and Israel, as usual breaks its agreements with impunity. The BBC of course sees, hears and says nothing. 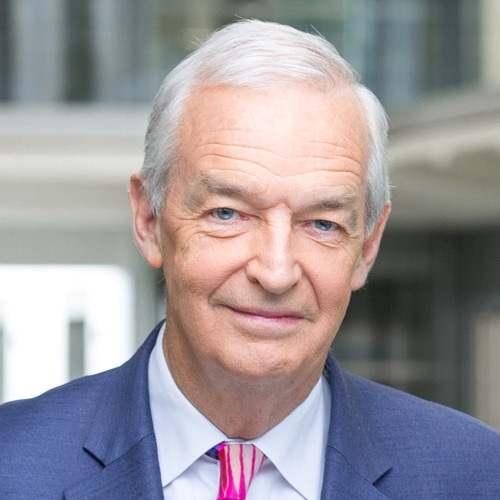 We both feel gratitude to Jon Snow for his comments on the Gaza Situation. It is often the case that Israel and Gaza are regarded as equal partners struggling for the same territory. It ought to be remembered that Israel is armed to the teeth whereas the Gazans have virtually nothing to challenge Israel’s armed superiority and that the Israelis forced 753,000 Palestinians into permanent exile though Golda Meir famously said the the Palestinians ‘did not exist,’ when Israel was created.If they left at the behest of other Arab states ( an accusation which I do not believe myself and has since been disproved) they were not allowed back which their descendants still vow to do. There will always be a serious problem when the influences within the international community enables one state to occupy air, land and sea between Gaza – having Power and Unfairness over another state – whose land it allegedly continues to illegally occupy. Isn’t such a unfair solution one that will ultimately continue to heighten friction between these two states? Whilst there has been both political and news media bias towards one side or another, isn’t the real failure of this continued friction and war between Israel and Palestine the failure of the International community? @IA I think you are partly right but in the end, it is Israel who has been the aggressor for the last century. The story cannot be told unless the Irgun is included along with all the other Jewish terror groups in the Yishuv (literally pre-state Palestine). The kinds of terror acts that the world focuses on today, already happened long before there was an Al Qaeda, Hezbollah, and Hamas. In fact it was Irgun terrorism that inspired Al Qaeda; AQ’s terrorist library in Afghanistan was discovered by US Marines after 9/11. In that library was The Revolt, a book by the terrorist mastermind of the Irgun, Menachem Begin, who later went on to become Prime Minister of Israel. Other handbooks of Jewish terror were also found. It is shocking for some to realize, but it is true. A new book by one of the foremost experts on Middle East security issues explains that one of the reasons that Israel got a state was because of the terror and assassinations of high officials by the Irgun, Lehi and others before Israel was founded. It is a must read called “Anonymous Soldiers: The Struggle for Israel 1917-1948” by Bruce Hoffman [Knopf 2015]. It is also helpful to read any of the works by the New Israel Historians, including Tom Segev, former chief editor of Haaretz, or Benny Morris, Ilan Pappe etc. These historians have traced the true history of Israel, warts and all, and they are imperative reading for those who really want to know the roots of this conflict. Israel could have peace tomorrow, but instead it has chosen to illegally transfer more than 600,000 of its citizens into neighboring Palestine, and obviously, this is why there is an ongoing wound. Because after all, Israel was created in Palestine against the will of the Palestinians, they always made this clear, but the UN gave Israel a state in part of Palestine and Israel not being content with that miracle, wants all of Palestine. So sadly there will be perpetual growing war until Israel is forced back within the borders that they themselves declared on May 14th, 1948.